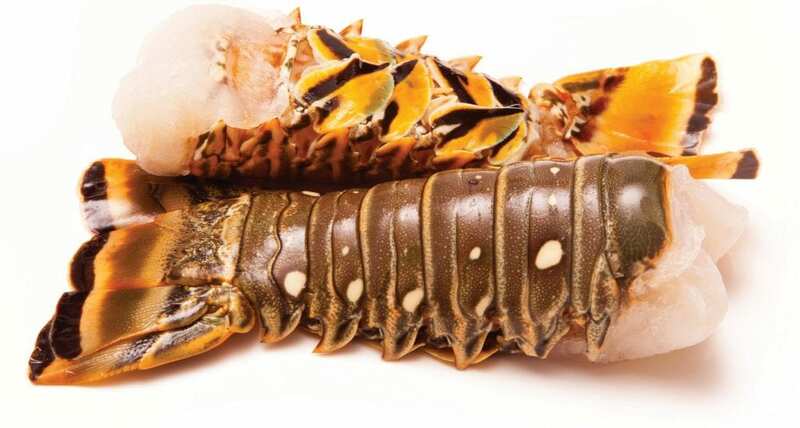 properly pronounced “lobstah,” then this article may not be for you. 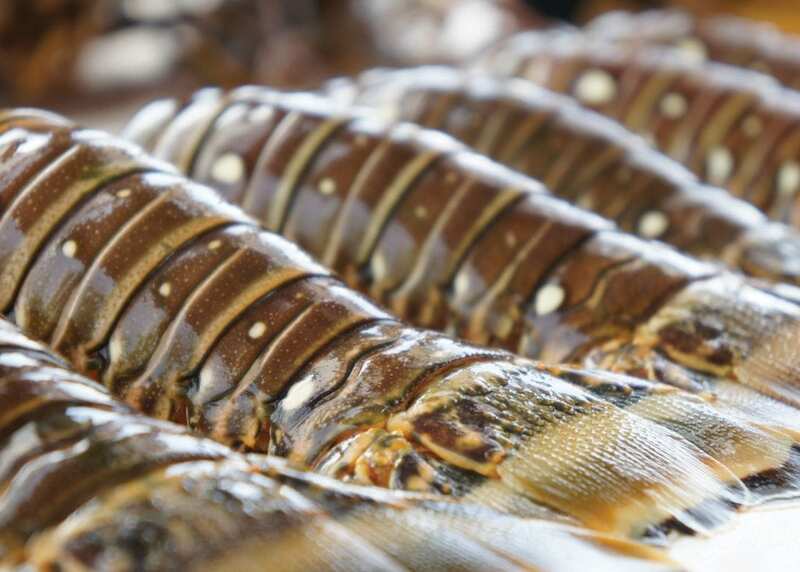 If, however, your crustacean preferences are a little more liberal, allow us to enlighten you on the clawless wonder that is the Florida spiny lobster — a delicacy so prized that Key West has devoted an entire festival to it. 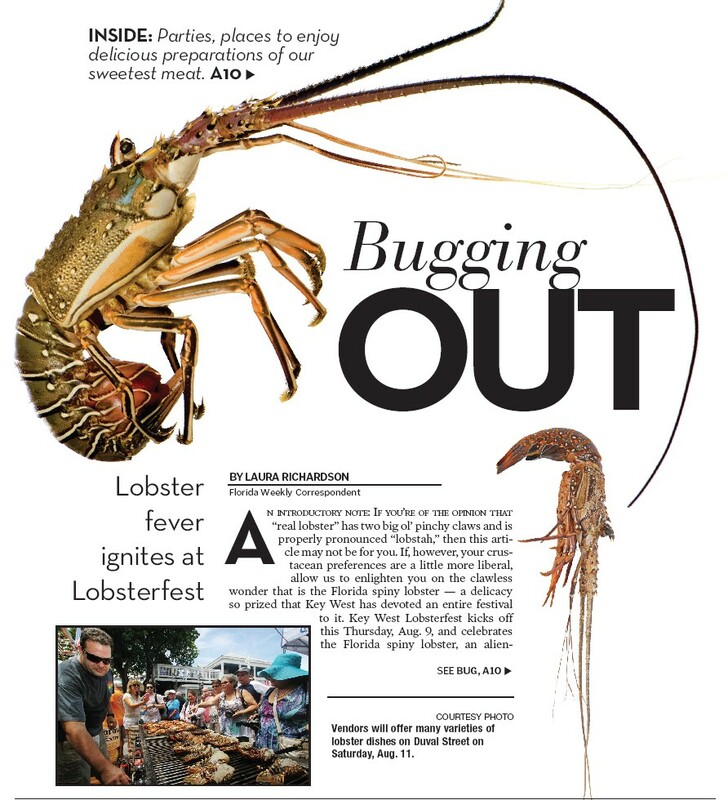 Key West Lobsterfest kicks off this Thursday, Aug. 9, and celebrates the Florida spiny lobster, an alienesque creature that looks nothing like the crimson Maine variety. 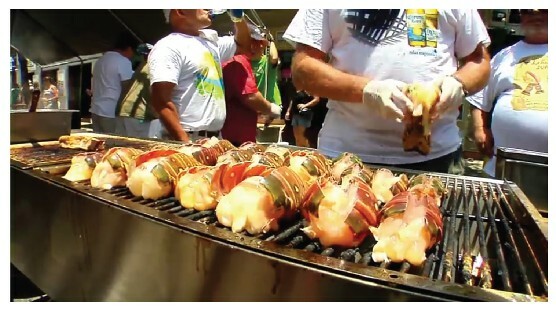 The festival, now over 20 years running, is the product of a friendly rivalry between a handful of local restaurants to prove which establishment had earned the right to call its lobster chilau the best in town. 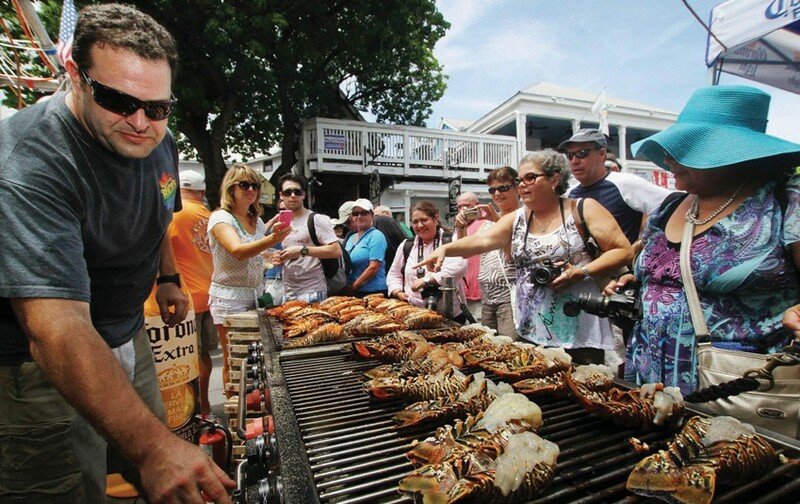 This intimate contest amongst friends blossomed into what is now Key West’s most popular summer festival, with an estimated yearly attendance hovering around 20,000 voracious lobster lovers. Two decades after its inception in the small courtyard of Durty Harry’s bar on Duval Street, Key West Lobsterfest is now much more than a neighborhood contest over lobster stew; it has become a bona fide smash hit for South Florida, with four days of events ranging from boat trips and bar crawls to a street fair that closes down lower Duval Street. Instead of serving as a venue for restaurants to establish chilau supremacy, it has become a celebration of all things lobster-related, and with good reason: the lobster is a huge earner for the Keys, where just the draw of mini-season, the alarmingly popular 48-hour window for lobstering that non-commercial “bug lovers” are given at the end of each July, can draw upwards of 30,000 visitors to the islands. Unlike its Northern counterpart the American lobster, best known for its giant claws, the Caribbean spiny lobster is clawless, smaller and harder of shell. Devotees of both species will argue themselves blue in the face as to which is better but regardless of the provenance of the bug, there remain about a zillion ways to prepare them for human consumption. Purists avow that anything more than a bit of melted butter and, if one is absolutely determined to add additional flavor, the tiniest hint of lemon or Key lime juice (just a fine misting — more like a sneeze than a squeeze) may be applied just before chowing down. But traveling around town in Key West it’s clear our chefs are far less obdurate in their respective beliefs (to the benefit of hungry bellies across the island). Here, our restaurants serve lobster that are braised in beer, liquefied into bisque, swaddled in bacon, grilled alongside a meaty steak, deep-fried in hot oil, sautéed with vegetables, pan seared in garlic, breaded in crumbs, rubbed in creole spices, frittered with conch, enveloped by ravioli, pickled with lime juice, submerged inside a skillet of mac ‘n cheese or absolutely smothered in a river of velvety hollandaise sauce. There is no right or wrong way to consume the Caribbean lobster. On its own, cooked simply, it is mild, bouncy and remarkably low in fat and high in vitamin B12. At the hands of our local cooks, it is delicious no matter the preparation or accompaniments. Incredibly, these spiny, detritus-eating sea bugs are responsible for millions of dollars in revenue and hundreds of jobs here in Monroe County. During mini-season, hotel occupancy rates skyrocket and charter boats book up months in advance; the sheriff’s department even employs lobster-sniffing dogs for the occasion. Hot on the heels of this year’s mini-season, the proceeds of which are estimated to total more than $4 million, the highly contagious Lobster Fever is the headline-making disease of the season (symptoms include dehydration as a result of excessive drooling, stomach ache, overconsumption of butter, grill burns and the occasional underwater fistfight). Keys residents, mainland Floridians, and foreigners alike can begin the four-day celebration on Aug. 9 by attending the Waterfront Brewery’s oceanfront rooftop lobster boil from 5 to 8 p.m., which will feature live music, drink specials and copious amounts of the Waterfront Brewery’s beers brewed right on site (we highly recommend the Crazy Lady, the perfect crisp accompaniment to the lobster’s natural sweetness). For a mere $29.95 (or $15.95 for kids 11 and under), attendees receive a full pound of the lobster boil along with all the sides. If you’d rather spend your evening on the water, Fury will be running its Champagne Sunset Sail, where you can watch Key West’s legendary sunset from the deck of its 45-foot power catamaran (but be warned: this event is strictly BYOL — Bring Your Own Lobster). If you declined Fury’s Thursday night sunset sail, you can make it up on Friday afternoon with the “Reef & Ritas” three-hour catamaran sail and snorkel trip, sponsored by Margarita Life. 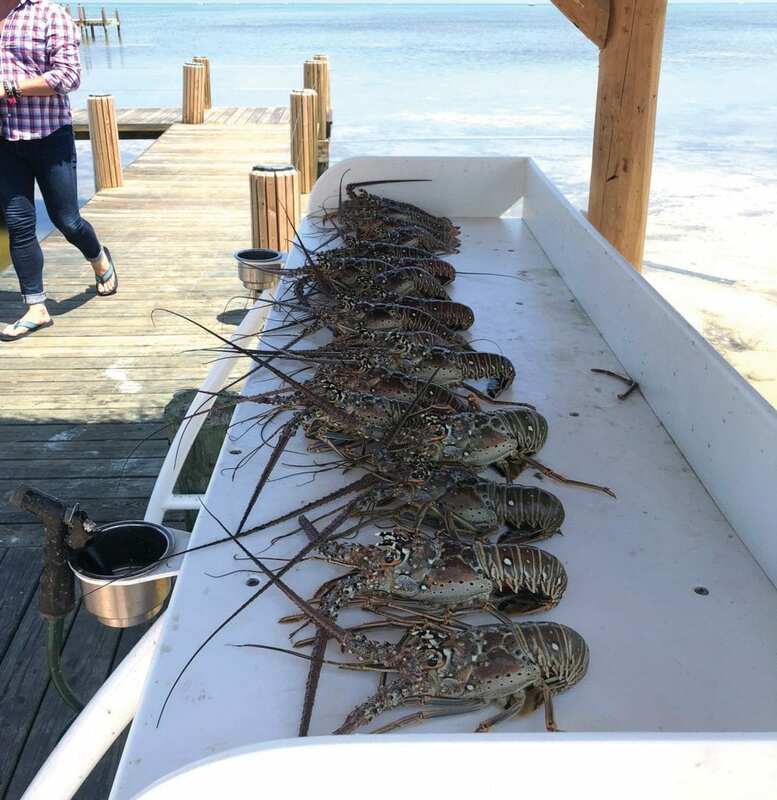 “Reef & Ritas” will offer lobster fans the chance to get out onto the very same ocean that their favorite spiky crustaceans call home — think of it as Key West’s version of farm-to-table tourism. (An insider’s tip: during Lobsterfest, all of Fury’s trips are 10 percent off with the code lobster10 — that includes the official Lobsterfest events and any of its other snorkel/eco tour/ parasailing/Ultimate Adventure trips. Book online ASAP at www.furycat.com.) Of course, no festival in Key West would be complete without a Duval Crawl, but if the lure of discounted drinks and souvenir lanyards isn’t tempting enough, know that a portion of the proceeds from Friday night’s post-sunset crawl go toward funding local Key West High School’s Scholarship Fund. (And no, you cannot write off your dozen Coronas as a tax-deductible charitable contribution. We already asked.) Participating bars include Bagatelle, Tiki House, Hard Rock Café, The Grand Café, The Sand Bar, Rick’s, Durty Harry’s, Smokin’ Tuna Saloon, Margaritaville, Mary Ellen’s, Willie T’s and Pinchers Crab Shack. For the love of all things holy, we hope you’ve steeled your livers. Of course, the original impetus for Lobsterfest, the Chilau, should be sampled throughout. But our first stop this year will undoubtedly be local favorite Bagatelle, whose take on the best way to cook lobster (battered in tempura, fried, and served corndog-style on a stick with a side of honey butter) is the stuff of legends. 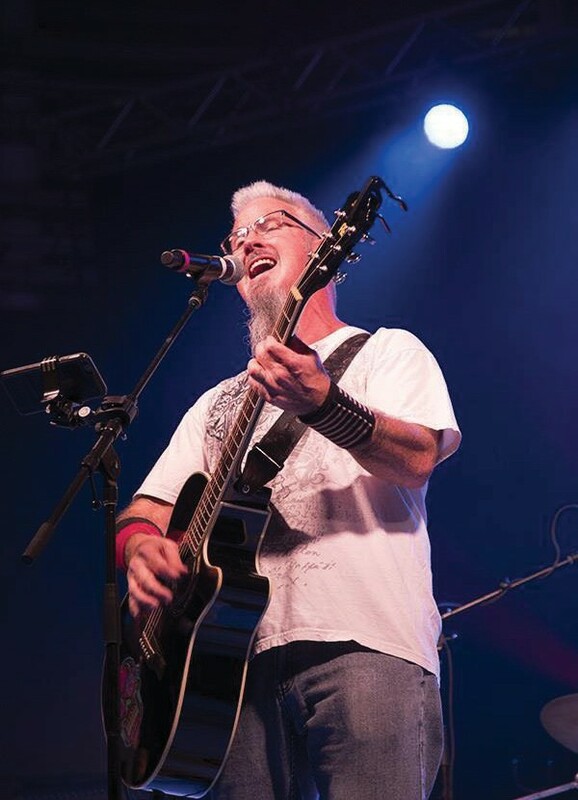 The street fair officially starts at noon, but make sure you’re at least there by 1 p.m. to catch a series of free concerts featuring George Chapman, Cool Breeze and The DurtBags. If you just can’t get enough lobster, the festival ends with a decadent, official Lobsterfest Brunch hosted at First Flight Island Restaurant & Brewery, where diners will enjoy a tantalizing spread including lobster egg scramble, biscuits and lobster gravy, lobster enchiladas, lobster gazpacho (are we sensing a theme here?) and bottomless mimosas and bloody Marys — the hangover helping nectar of the gods.